And he’s right, motivation doesn’t last. You need to take in new and inspiring information so negative news and social media don’t feed your brain negativity 24/7. One of the easiest ways is listening to podcasts. 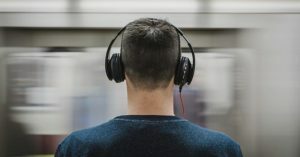 Here are the best motivational podcasts to help you learn new ideas, find new strategies, and learn from the most successful people on the planet. Personally, I think this is the best of all the best motivational podcasts out there. Impact Theory has impacted (no pun intended) my life more than any others on this list. This is the mecca of personal development content. If you’re looking to 10X your life and learn from the smartest and most successful people on the planet, this is your podcast. The creator of Impact Theory, Tom Bilyeu, is the co-found of the billion-dollar brand Quest nutrition. While at Quest he started a smaller version of this podcast, Inside Quest, to help inspire and motivate his staff. Since starting Impact Theory he’s grown his brand by building a massive studio in his house! Tom and his wife, Lisa Bilyeu, also host several other podcasts like Health Theory and Relationship Theory. Maybe I’m biased because I got to meet Tom but his podcast Impact Quotes deliver some of the best motivational speeches ever! The Mindvalley Podcast is one of the greatest self improvement podcasts out there. The founder and host of the podcast, Vishen Lakhiani get high caliber guests to appear. This podcast explores a ton of different topics including learning how to access your flow states, crushing your business, and becoming the absolute best version of yourself. Vishen is an unbelievable interviewer and highly recommend listening to this podcast. Have you ever wondered what makes certain people so successful while others simply go through life? Lewis Howes, the creator of The School of Greatness, explores this topic in depth on his podcast. If you don’t know Lewis he is New York Times bestselling author, world record holder, lifestyle entrepreneur, and former pro football player. After his career was suddenly ended he took his life in a new direction and has dominated the personal development space. Lewis interviews some of the most successful people on the planet. From deca-millionaires like Grant Cardone to professional athletes (including his latest with Kobe) and top influencers in the world. I personally love this podcast as it was really the first one that got me started with my own personal growth. This profound personal growth podcast is sure to keep you dreaming big, and — better yet — achieving those dreams. Lewis also does solo episodes which I’ve found incredibly helpful for my life and business. One of my favorites was about creating the perfect day. On a blank sheet of paper, write down a few paragraphs of what your perfect day looks like, even if it’s far from your reality. Write down how it feels, how it looks, and write as much detail as possible. Then, get more detailed and map out every hour of your day. While it might seem unnecessary, it’s actually a great exercise for your subconscious mind. With the perfect day formula, you are giving your brain-specific instructions on your goals. Ed Mylett is one of best motivational speakers on the planet and has an amazing podcast, “The #maxout show“! Not to mention one of the newest ones in the self-improvement space. In a crowded market, Ed stands out to create some unbelievable episodes. While Ed isn’t a household name like Tony Robbins, it’s only a matter of time before he reaches superstar status. Ed Mylett is an ultra-successful entrepreneur who was listed on Forbes as the richest 50 under 50. And it’s entirely self-made. One of the newer podcasts, The Passionate Few by Omar Elattar has some incredibly epic guests. They include people like Dan Lok, Ed Mylett, The Cardone’s, Joel Marion, and tons of others. Omar has an unbelievable interviewing style that makes it easy to learn from the successful people he brings on to his show. I can’t recommend this self-improvement podcast enough! 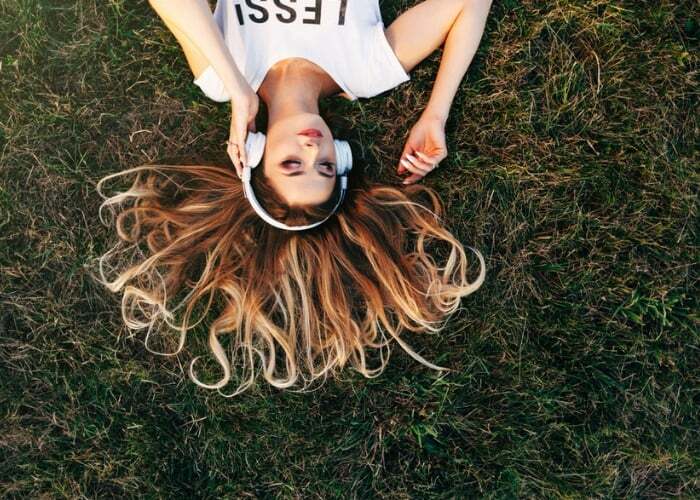 The 10% Happier podcast is all about meditation which makes it more of a mindfulness podcast. It offers a unique glimpse into the lives of various authorities, notable celebrities, public figures, and interesting personalities who meditate. The guests share a ton of meditation tips and insights. The host is ABC anchor Dan Harris, a skeptic-turned-regular meditator who credits mindfulness meditation to help him deal with the stress of his job. The interviews remain journalistic in their style, but they are always entertaining. Plus, it’s produced by ABC so it’s very high quality! The host, Robin Sharma, is a best-selling author, speaker, and former lawyer turned self-improvement guru. This motivational podcast will help you master all aspects of your personal and professional life. The Mastery Sessions are designed from Sharma’s analysis of the world’s top 5% performers. This podcast will help you increase your own confidence and belief in yourself. I’m always pumped up when I listen to this epic podcast. The London Real is all about giving you the tools to become the best possible version of yourself. Each week, Brian Rose interviews someone at the “top of their game.” And they come from all different areas of life which makes it an exciting show. People like world renown scientist Bruce Lipton to former monk Dandapnai and even the “Iceman” Wim Hof. In these epic episodes, all of these elite human beings share their insights on how to be successful, healthy, wealthy, and happy. Could you want anything else from a personal growth podcast? The Good Life Project is hosted and created by Jonathan Fields. The podcast takes a real-world approach and features embodied teachers in all areas of life. These teachers have success habits and systems to help you find more meaning, connection, and happiness into your life. They are the best in their field of practice — from human guinea pig Tim Ferriss to other great minds, you’re sure to learn a ton from this self-improvement podcast. Kwik Brain was created by Jim Kwik and is one of the most fun self-improvement podcasts out there. Jim was one of my favorite episodes of Tom Bilyeu’s Impact Theory and can’t recommend this guy enough. Jim was once called “the boy with the broken brain” after two falls left him with a learning disability as a child. But refusing to accept that label, he studied the mind as much as anyone and ended up becoming a memory expert. Kwik Brain Podcast is a fun and fast-paced podcast designed to help you learn how to learn and double your brain power. What I love about the podcasts is that Jim gives you tactics to immediately use in your life. In his podcast, he shows you the tricks to increase your learning abilities and live a better life. Jim actually makes learning fun to learn too. Only if schools could figure it out! The Tony Robbins podcast is hosted by the legendary (and arguably best motivational speaker) of all time himself. This revolutionary podcast will dive into all different areas of life. From health, business, relationships, and finances, Tony will teach you tons of great content. And when you are as successful as Tony is, he has equally high caliber guests to help you learn the secrets of success. Some of the guests include Deepa Chopra, Dr. Mark Hyman, and the founder of Bulletproof, Dave Asprey. Listening is great but doesn’t forget to take Tony’s advice and “take massive action” to act on what you learn. This is one of the best personal development podcasts available! Gretchen Rubin, the author of The Happiness Project is the host of The Happier Podcast. She is on a life-long mission to answer the question: how can we be happier? 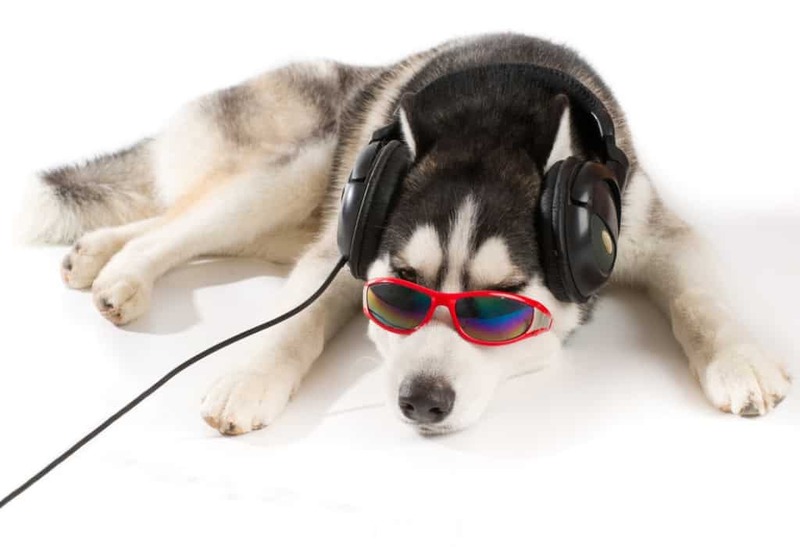 The podcast gives you tons of nuggets to help you find happiness in your life. Plus, it makes you think more about your daily habits and how they affect your overall quality of life. The Optimal Living Daily podcast is hosted by Justin Malik and will take on an inspirational, educational, and journey. 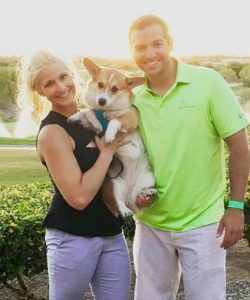 Every week he chooses a topic like productivity, strength training, and minimalism and features experts on the topic. He also publishes an excellent 10-minute audio clip summarizing the main points. And his blog has a ton of great content and even more information related to his podcast. With a unique, step-by-step approach to personal growth and development, it’s one of the best motivational podcasts around. And his podcast doesn’t disappoint. David combines his in-depth life work of hacking human biology with the smartest minds on the planet. The podcast includes suggestions a lot of topics to help you get motivated and become successful in life and business. He talks about finding a mentor, staying productive, and even how to build a personal brand. His newest podcast, Lead to Win, is replacing this one in the near future! The NPR: Ted Radio Hour Podcast is based on the inspirational Ted Talks. This weekly listen is based on the theme inspired by a variety of Ted talks. Which means you get a variety of amazing topics on this self-improvement podcast. The host, Guy Raz, ties together several lectures that attempt to shed light on things like the future of the millennials, each individual’s search for happiness and how to channel greater creativity. This is one of the more thought-provoking podcasts around and has a ton of value regardless of your age. The Mindset Zone podcast is all about leaving fixed views of the world behind and cultivating a growth mindset. Her weekly podcast is a good reminder that your brain is an incredibly powerful tool if you can learn how to use it. Who doesn’t want to become a millionaire? Even if you don’t want greed and a lavish life, money makes the world go round. The more wealth you create, the more people you help. 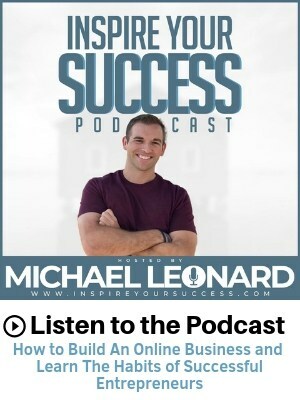 This podcast will help you create the mindset and habits of a millionaire. The Eventual Millionaire is a business podcast from Jamie Tardy. And Jamie has some incredible guests as she has interviewed more than 100 millionaires while researching for her book. While researching for her book, also titled, The Eventual Millionaire she found it obvious what separated average people from millionaires. As a solopreneur trying to create a business, I absolutely love Entrepreneur On Fire. The host, John Lee Dumas (JLD), is an absolute beast on the microphone. Not many people are outworking John as he pumps out 7 episodes per week! He’s been recognized by top entrepreneur Gary Vee as someone who is very deserving of his success. Entrepreneur on Fire never fails to inspire me. I love John’s no-nonsense but friendly interview style. Plus, his guests are not as well known as some of the other podcasts which give this one a great vibe. It’s also great to get some motivation from people who are already running online businesses. Bulletproof Radio is a podcast born of host Dave Asprey’s relentless 15-year vision to upgrade the human being using any and every available technology. 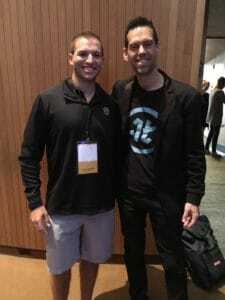 After seeing Dave live at Tony Robbins, Unleash the Power Within seminar, I can say personally, this guy is next-level. If you don’t know Dave, he is an investor and tech entrepreneur who is obsessed with squeezing everything possible out of life. He draws on lessons from meditation experts, biochemists, sleep specialists, Olympic nutritionists, and his own experience. He shares the secrets to maximize your daily performance in every episode. The Tim Ferris Show is hosted by “human guinea pig” Tim Ferriss himself. Ferriss uses his show to pry useful tips from ultra-successful people like Tony Robbins, Peter Thiel, Sir Richard Branson, and so many more. This self improvement podcast, EntreLeadership, includes discussions with business and leadership focus. Some of the guests include Mark Cuban, Seth Godin, and Simon Sinek. I just started listening to this one and definitely recommend the Dave-Ramsey produced podcast! Optimal Living Daily is one of my absolute favorite podcasts to end out this epic list. It’s so different than every other podcast which makes it so fun to listen too. The host, Justin Malik, basically reads blogs from various authorities such as Leo Babauta of Zen Habits and Ramit Sethi of I Will Teach You to Be Rich. I love it because the episodes are around 10 minutes and a good way to hear your favorite blog posts. Plus, each episode comes out the same time every single day. This is one of the best positive thinking podcasts to listen too on your way to work! Monica and Ella co-host “Let’s Discuss” which covers all things life, love, work, and well-being. It makes you feel like you’re in a coffee shop with them chatting about the struggles of being a young adult. The Life Coach School podcast is deceiving because it’s for more than someone who wants to become a life coach. In fact, it’s all about you becoming your own coach and supporter in life. This is such a positive message that is sure to help you believe in yourself! First off, I 100% love this name! The Goal Digger podcast is geared toward creative girl bosses. It should definitely give you the inspiration to chase your dreams and become the ultimate version of you! Jenna Kutcher is the host and will help you stay motivated to work on your goals even when you’re not feeling it! The Lively Show is focused on living an intentional life. The podcast is hosted by Jess who is an ambitious online entrepreneur who sold everything she owned to travel the world by herself. She interviews unbelievable people and will give you a ton of inspiration to help you get overcome fear and live your dreams! The Marie Forleo Podcast is hosted by Marie who is an entrepreneur out to change the world. Her goal is to help you become the person you want to be. I love her positivity and wit in all things business and life. I have a feeling this might be one your new favorite self improvement podcasts in 2018. The Lavendaire podcast is brought to you by a successful entrepreneur and YouTuber, who focuses the topics all about personal growth and lifestyle design. The content is a great mix that features her own experiences as well as guests that are sure to keep you inspired! The Art of Charm podcast is another awesome podcast based all about networking and becoming successful. As you can tell, there is no shortage of amazing inspirational podcasts to help you improve your life. I recommend trying to listen to at least one new episode per day. It’s a great replacement for TV and an amazing way to learn something new. Whether it’s a self-help podcast, self-improvement podcast or something not listed, just start. Some good times to listen to podcasts are on your commute, at the gym or part of your morning routine. Remember, don’t just listen but take inspired and massive action to start improving your life. 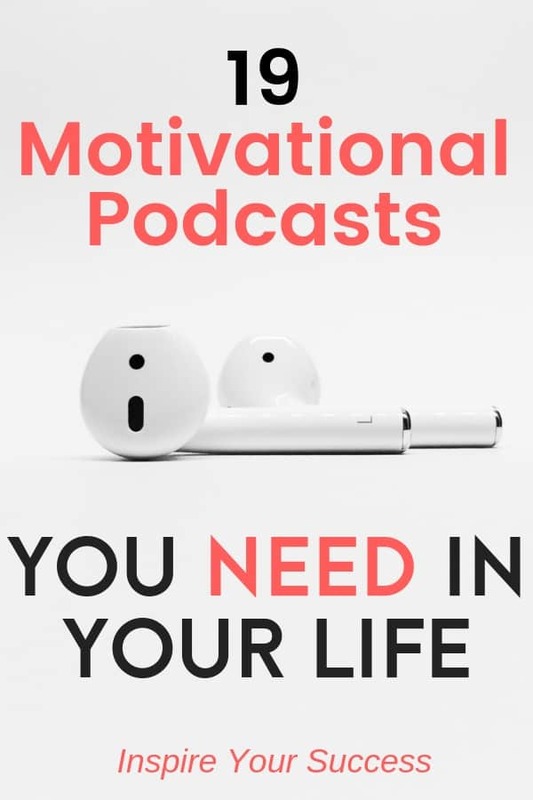 Hopefully, the best motivational podcasts will help you take your life and success to the next level! Different inspirational way for different people. Don’t be paranoid if one way doesn’t suit you. Yep — just trying to write about the podcasts that have inspired me to share w/others!